We can’t wait to get our own! If you're already looking for a design for your future red tattoo, here are some worth saving on Instagram! The circular and puffy shape of the cloud is cute AF. If you already have a white tatt, put a red one beside it to make them both stand out! We love us some detailed flower tattoos, but this simple floral design is TDF. Give your tiger stripes some love by decorating it with a quote written in cursive. Who here loves an ironic tattoo? Lightning bolts are loud and powerful, yet this one is so small and adorable! 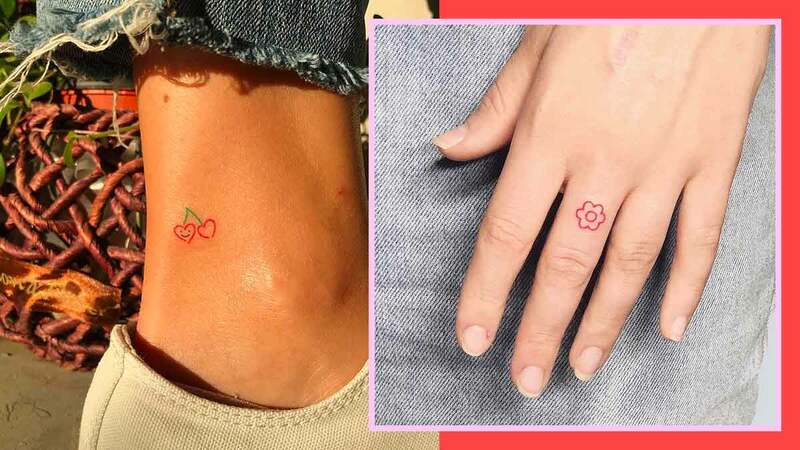 This heart-shaped cherry tattoo looks so sweet! Miss having an anklet? Get it tattooed!